OneClickTires.com is designed to make tire buying easy and competitive prices to you, our customer. You will notice that our site is simple. With just a few clicks you can place your order. For the beginner, OneClickTires.com is a step-by-step guide to buying tires online. And for the enthusiast, we offer brands that can be hard to find on the internet. OneClickTires.com has been in the tire business for over 40 years, selling retail and wholesale. At our heart, we are a family-owned business with a bunch of people who know a lot about tires. If you are a tire distributor or retailer and would like to participate in the fast-growing online market for tire sales, become a OneClickTires qualified partner. Send us an email at info@OneClickTires.com. 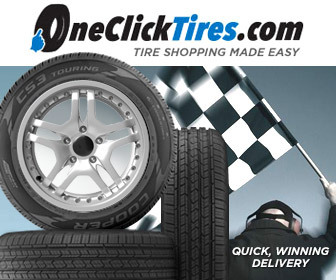 OneClickTires.com hopes you enjoy the simplicity of the site, the ease with which you can buy tires, and the expertise and pricing we bring to the market. We have many happy customers! Read all our reviews here.